The U.S. Department of Labor’s Occupational Safety and Health Administration cited Midway Tower Service Inc. and Bracken Equipment Holdings LLC for failure to follow proper fall protection and safety measures. Employees at the Utica, Mississippi worksite were exposed to fall hazards and struck-by hazards, including fatality. Workers failed to remove damaged equipment between the crane hook and load. Additionally, the ends of rebar were left uncapped. Consequently, these unfortunate mistakes resulted in fatal injuries. The proposed penalties for both companies could result in $20,990. Accidents resulting from fall hazards are preventable. Therefore, employers must take responsibility for the proper training of employees. 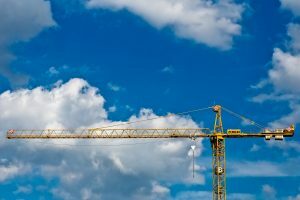 A new rule for crane operators is set to provide that safer measures are in place to prevent hazardous accidents. Employees must meet certification or qualification requirements for crane operation. The implications of operator requirements are debated due to uncertainty among interpretations of the law. Upon receiving citations, Midway Tower Service Inc. and Bracken Equipment Holdings LLC have 15 days to demonstrate compliance with OSHA standards. Alternatively, the companies may request a conference with the area director within this timeframe, or contest OSHA’s findings before the Review Commission. Failure to provide workers with proper fall protection is the leading cause of fatalities among construction workers. OSHA seeks to support workers’ safety by educating the public and promoting safety awareness. Violators and repeat offenders jeopardize the lives of employees and the future of their companies. For the latest news in OSHA safety, visit OSHA News Releases. 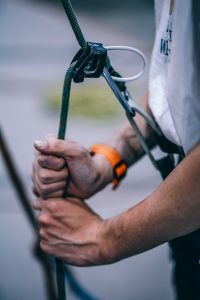 According to the Occupational Safety and Health Act of 1970, employers are responsible for providing employees with a safe and healthful workplace. Employers must ensure that all workers are trained in proper fall protection and safety procedures. OSHA-Pros offers a variety of OSHA-approved online courses. Browse our catalog for a list of courses. Rest easy, knowing that your employees receive quality education and training by professionals. Courses are available and affordable. OSHA-Pros even has courses offered at no cost. Get started now and start saving money and LIVES!